Since 1953 our company, Air-Wave Air Conditioning, has built an unmatched reputation for giving consumers in the Greater New York Area value with regard to sales, service, storage, and other air-conditioning needs and products. Providing window and through-the-wall room air conditioners for apartments, homes, offices, cooperatives, condos, health-care and other facilities is our only business. We have sold, serviced, overhauled, delivered and installed over 1 million air conditioners and combination heating and cooling units (which are also known as PTACs). Our large volume enables us to offer low prices that include delivery and installation. Our experienced service experts, parts department, and installation crews give our customers worry-free maintenance; prolong a unit's life; and result in greater efficiency, for still more savings. These are advantages you will not get from an appliance store or other so-called specialists. Air-Wave offers a free room survey so you get an air conditioner that matches your actual needs. 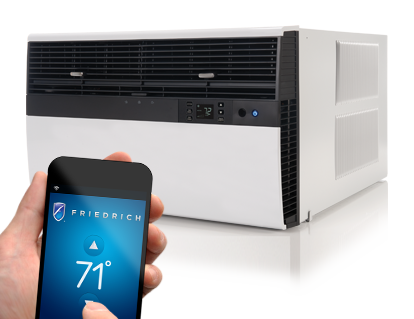 We carry Friedrich, Frigidaire, GE, McQuay, and other fine brands, and we service all major makes. Our company often has limited discount offers, for pre-season sales, Spring checkouts, anti-pollution cleaning, and other good deals. We also overhaul units to make them perform like new. Our company also sells sleeves. Air-Wave carries $6 million of liability insurance and workers compensation. For the very best values in room air conditioners, call us today at 212-545-1122 or 718-933-1011. We invite you to explore our web site, www.airwaveac.com and to email us at airwaveac@aol.com.